Sydney has so much to offer in terms of ‘holidaying’ it’s hard to know where to start! You can literally do everything here, whether it be a foodie holiday, an active holiday, a relaxing holiday, whatever your heart desires! Recently I had the awesome experience of ‘holidaying’ in my own city Sydney with Destination NSW. We took part in so many fun, active and healthy activities and I finished off with the Blackmores Sydney Running Festival which takes part every year and is a great community event. You can run the Family Fun Run (3.5km), the Bridge Run (9km), the half marathon (21kms) or the full marathon (42kms) and it’s a great excuse to get training as well as seeing the amazing Sydney sights on race day! Straight afterwards we returned to our hotel very briefly before being whisked off to Lets Go Surfing…an awesome surf and SUP school to help you keep fit, active and build core strength while on the water. Dan took us to Maroubra and Malabar where he gave us some basic training for SUP’ing before hitting the ocean. I love SUP and I find it an awesome way to stay fit on the water while not being too overwhelming if you find the ocean a bit full-on (like me!). I would love to get a SUP board and start SUP’ing in the summer….maybe, if I get him a lifejacket @henriluxe can come too! Then we enjoyed an awesome dinner at one of my favourite Sydney restaurants North Bondi Fish. If you’ve been following me for a while you will know that I’ve done another post on Chiswick restaurant (one of my favourites!) and a few recipes from their kitchen. Celebrity chef Matt Moran owns both of these restaurants (and more) and although it is quite different to Chiswick you can be sure you’ll be spoilt for choice with amazing fresh produce and Bondi beach in the background. Something I couldn’t wait to do was go to the Carriageworks Farmers Market in Eveleigh. How I have not been here before is completely beyond me, especially since it is so close to my house and is held every Saturday. 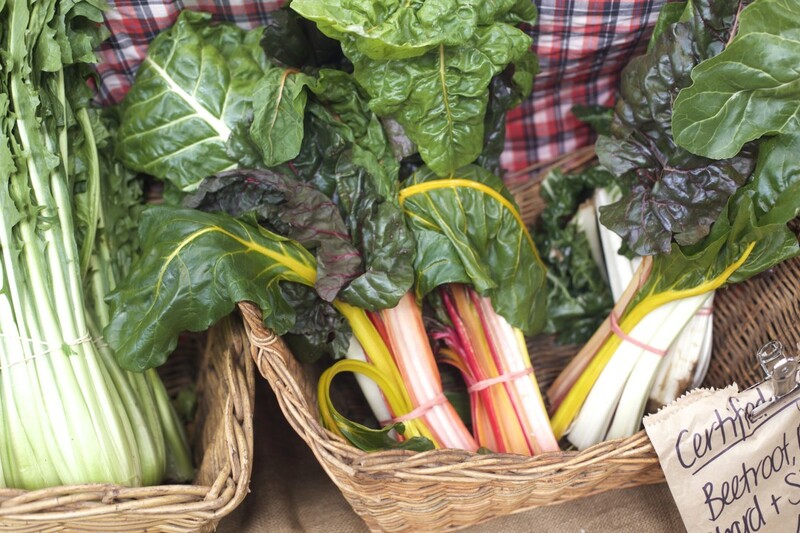 With more than 70 farmers and artisan food producers from Sydney, regional New South Wales and the ACT the fresh and diverse offerings were out of this world. We had a guided tour and got to speak to the farmers and stall owners about their market contributions – there was a real sense of community here and awesome atmosphere! I will definitely be back for more! As well as offering fresh fruit and vegetables they also have stalls for take-out options like coffee and not to mention Kylie Kwong‘s omelette pancakes – OMG delicious!!! Next up we had an aerial yoga session at Skylab in Surry Hills. I have been to Skylab before for BONDS and written about it on here so it was SO nice to go back. Skylab is set in an amazing space in Surry Hills, once an artists residence the internal building is wall to wall covered with graffiti (which is really quite beautiful…) and then at the top of the building you get to Skylab. The white walls, breezy hammocks and zen-like space create such a contrast it almost makes you feel relaxed instantly. Shari is the owner of Skylab and she is such a fun, vibrant and passionate person! Her energy transcends to all of her students and I always feel confident with her thorough yet fun teaching style. As I said previously I am not a dedicated yogi and I had assumed you would have to be quite advanced to do aerial yoga but that is not the case…in fact it’s quite the opposite! So for yogi’s of all levels you should definitely give aerial yoga a go….it is SO much fun! Shari and I making some shapes! So…after our busy morning and afternoon we relaxed for a few hours before heading out again! This time we dined at Nomad in Surry Hills. I had never been here before so it was awesome to try something new (in my own city…haha!). Again this restaurant concentrates on the best local produce grown and raised by Australian farmers, grape growers and wine makers. We had such a delicious dinner and if you’re there I would definitely recommend the Brussel sprouts and the Burrata……YUM! Then we were back to the QT Hotel Bondi for the last night before the Blackmores Sydney Running Festival in the morning! I was so lucky to get a VIP Water Taxi to the event – (so spoilt!). It was such a great way to see the harbour..I went from Rose Bay Ferry Wharf to Milsons Point and the friendly driver took a little snap for me on the harbour…thankyou!! I got there in plenty of time for the bridge run which started at 8a.m! 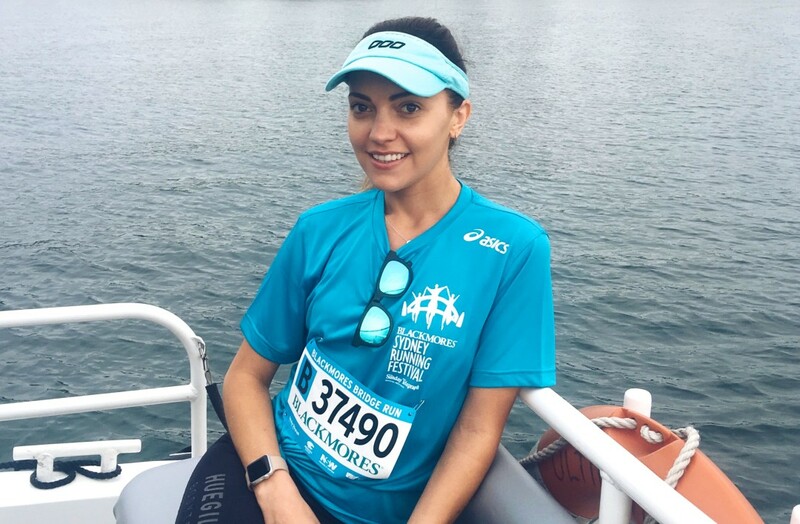 Blackmores Sydney Running Festival is one of Australia’s most scenic running events, with all the events taking competitors across Sydney Harbour Bridge and past views of the harbour and Sydney Opera House. After your race Blackmores hold an epic ‘recovery village’ where you can take part in ‘recovery’ yoga, massage, food and drink, live entertainment and merchandise to help you wind down after your race. There is such a nice atmosphere I can’t wait to compete again next year!